I was at ringside as the boys took on John Cena and CM Punk. "Get here! Get here!" I exclaimed to Dean. The guys had been dominating, but now John was making his way over to Punk. John was able to tag out to Punk as Dean tagged in Seth. Punk started going full force at Seth. I paced nervously as Punk started pretty much dominating everyone. That was until Roman and Seth went to Deans aid. The ref called for the bell, signaling a disqualification. I slid in the ring and watched on as the Shield started beating Punk. As they set up for the triple power bomb, Big E&apos;s music hit. Dean nodded for me to attack first, That&apos;s new, as soon as he slid in the ring I went after him, but he knocked me down with a clothesline. I rolled out of the ring as Big E hit the guys out. Roman got on the apron. Punk stood by Big E with a chair. "We&apos;ll get them back, come on Roman," I called. "Looks like they convinced Roman Reigns to fight another day," JBL said as we headed to the barricade. I was packing up my stuff. What a wild show that had been. Between The Shield and Brie, my head was buzzing. The door opened and I looked over my shoulder. I thought all the other divas had left. 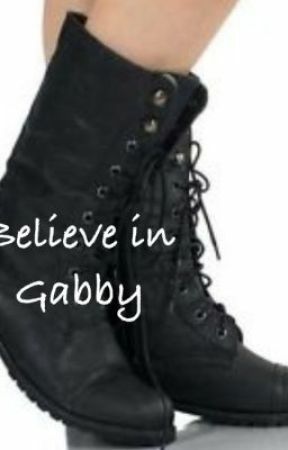 "Gabby, their you are," I froze when I saw Nikki. "Oh....hey," I kept my eyes on her. I didn&apos;t know whether she wanted to talk piece or beat the crap out of me. "Can we just talk for a sec?" she asked. I glanced behind her, "Is Brie with you?" "No," Nikki stepped forward and sat down, "Just me and you." "Ok, talk," I started tapping the wall. "Well.......I think after tonight I kind of realized that I was wrong to completely start hating you, because of the things that were going on between you and Brie. I just want you to know I am so sorry for anything I have done these past few weeks." "I want to Thank You for apologizing," I muttered, "I know that when something like this happens that obviously you&apos;re going to go with your twin sister and I understand that." Nikki nodded, "Thank you for understanding," Nikki shifted, "Listen, Brie felt really bad when we were backstage after the match." "No, listen," Nikki patted my leg, "The reason Brie was doing this to you is because she felt like you were hanging out with the Shield more then us." I nodded, "Brie has to understand that they&apos;re my partners." "Right," Nikki nodded in agreement, "The Shield are a big part of your life now, they&apos;re your partners and you should hang out with them, but you just got to remember that you still need time for us and Daniel and the other important people in your life." "I haven&apos;t hung out with Daniel in forever," I muttered more to myself before looking back to Nikki, "I&apos;ll try my best." Nikki smiled and held her arms out, "Hug?" "Ok, Ok," I stood up and gave her a hug, "But if Brie wants an apology, she&apos;s going to have to apologize yourself." Nikki nodded, getting up, "I&apos;ll make sure to tell her that."